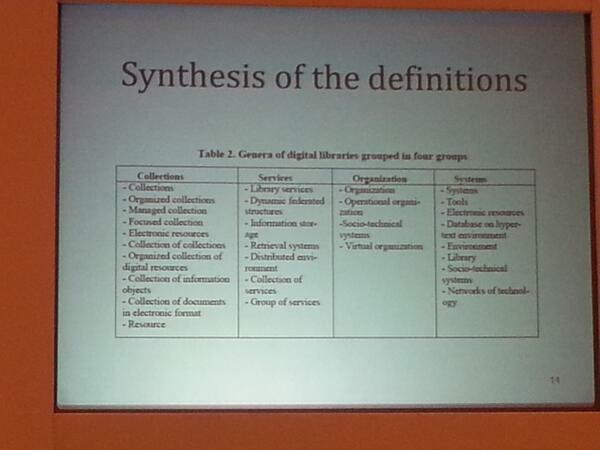 This paper reflects on the range of the definitions of digital libraries demonstrating their extent. We analyze a number of definitions through a simplified intensional definition method, through which we exploit the nature of the definitions by analyzing their respective genera and attributes. The goal of this paper is to provide a synthesis of the works related to definitions of digital library, giving a fine-grained comparative approach on these definitions. 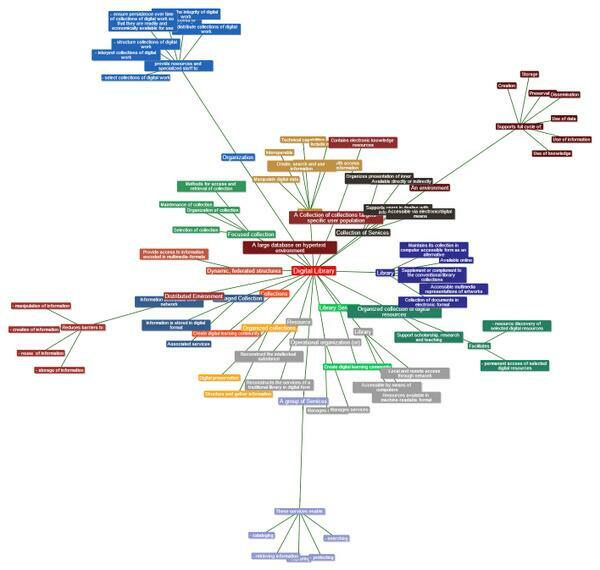 We conclude that, although there are a large number of definitions, they are defined in overlapping families and attributes, and an inclusive definition is possible. Armand vindt dat Digital Libraries een verkeerde term is, omdat wat je ermee bedoeld erg afhangt van de context waarin je het gebruikt. Collectie, service, organisaties of systeem bijv. Hij ziet bibliotheek dus meteen als een online systeem ;-).